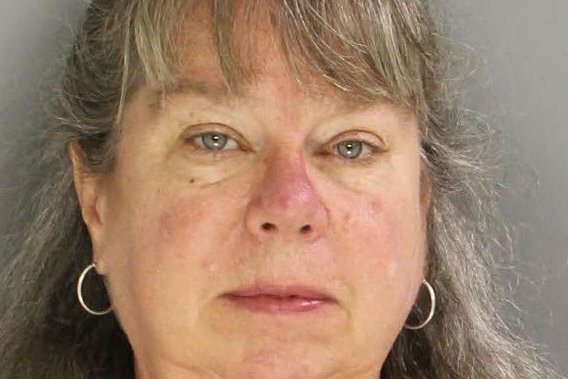 A Bucks County accountant is accused of stealing thousands of dollars from her 100-year-old client to subsidize her casino habit, prosecutors announced Wednesday. According to the Delaware County District Attorney's Office, detectives began investigating after a tip from Temple University’s Institute on Protective Services that someone may be taking money from the bank accounts of Elizabeth Webb. Webb, 100, who resides at Granite Farms Assisted Living in Middletown Township, had been using the same accountant for 22 years, authorities learned. The accountant, 58-year-old Jeanne Swain, of Yardley, had been writing checks to pay for her own living and business rents, her state and federal taxes and her ex-husband's rent and health insurance, according to prosecutors. In total, authorities say she wrote $116,667.33 in unauthorized checks from Webb's accounts. According to prosecutors, a search warrant allowed detectives to discover that Swain had written several checks from her own account to Parx Casino in Bensalem, and more digging from detectives revealed she had racked up a whopping $292,072.53 in gambling losses at the casino over a five-year period. Swain has been charged with theft by unlawful taking or disposition, receiving stolen property, theft by unlawful taking and theft by deception, all third-degree felonies. She was arraigned and released on $250,000 unsecured bail with the condition of home monitoring. A preliminary hearing is set for Jan. 19, 2016. Authorities say to contact Detective Edward Kazlo at (610) 891-3974 if you think you or someone you know has been victimized financially by Swain.